Carol and I were proprietors of the Bayside Motel and Restaurant in Batemans Bay NSW managing the business for five years from 2009 to 2014. The motel consisted of a licensed restaurant/conference area, 26 motel rooms and 4 self-contained units. We left Batemans Bay at the completion of our lease in June 2014 and travelled to Cairns to catch up with family. 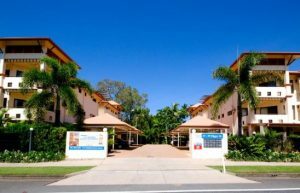 While living in Cairns I was employed as Manager of Oak Tree Retirement Village which consists of 77 independent living villas. Especially relevant management responsibilities have included the maintenance of budgets and reports, villa sales, overseeing maintenance and gardening procedures. The manager is also responsible for overseeing the construction of new villas within the village in addition to normal duties. While in Cairns, Carol has relieved as manager at Cairns City Plaza Apartments, a local 24 room motel similar to the Bayside. During the past 20 years I have been self-employed in a number of my own hospitality, real estate, retail and customer service related businesses. In the years prior to and during my involvement with the Bayside Motel, I conducted my own real estate brokerage business selling motels in New South Wales. My initial real estate grounding was with First National Real Estate in Batemans Bay as a residential salesperson. Prior to venturing into real estate, we owned and concurrently operated two supermarkets in Batemans Bay spanning over a period of ten years. We were both actively involved and responsible for ensuring the correct administration of all functional facets and expectations associated with those businesses. As relief managers / management couple we would be in a similar situation to our previous employ in running the day to day operations at any accommodation establishment. • Willingness to market the business locally, attract and manage new accommodation, as well as promoting meetings/conferences accommodation packages. Carol and I are both highly computer literate and should have no problem in adapting to any operating software program. We have been responsible for the administration and implementation of all software programs associated with our previous businesses. As a former motel owner and business owner/manager, I understand the importance of displaying outstanding customer service and impeccable management skills. Also very accomplished in communication with customers, staff, contractors and the general public on all issues. Therefore, I am certain that we bring a wealth of trust, knowledge and proficiency for the relief manager position. Especially in the areas of customer service, organisational requirement, marketing, sales, financial control and any other relevant duty. Please feel free to call Carol or myself at any time to discuss the requirements of your relief manager position. The calendar on the availability page indicates our availability for the upcoming months.